Lots of people are busy at this time of year - its a very social time - but if you and your darling are looking to be alone together here are some ideas for your 'together' time. Main lights off, string lights on, watch Christmas movies together with a bottle of wine. Candles and mutual foot rub. Say goodbye early at the office party - go home with the significant other and tuck into strawberries and chocolate. Park the car around the corner, draw the curtains to make it appear you are not at home. Slow dance to your favourite Christmas ballads or love songs in your pyjamas. 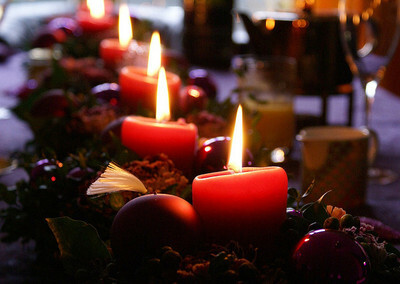 Have a midnight mini-banquet, open your presents after the snack, go to bed and in the morning sleep in. Turn off the computers and the phones and have a wonderful Christmas date with your guy or gal!